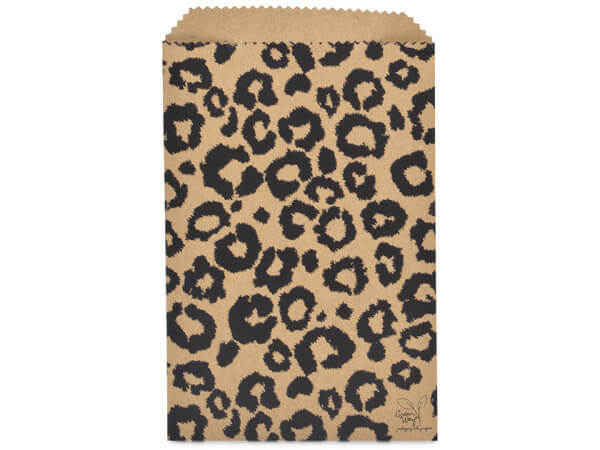 Leopard Kraft Paper Merchandise Merchandise Bags, 6.25x9.25"
6-1/4x9-1/4" Leopard Merchandise Bags are printed on 35lb paper from 100% recycled kraft paper. Green Way ® Eco-Friendly Packaging. Papers used in this product comply with FDA regulations for food packaging. Made in the USA.